Travelling irrigators are sprinklers fixed to a moving platform, ideal for applying water on small farms, pastures, sporting grounds and parks. 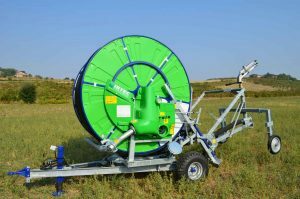 Travelling irrigators are uncomplicated systems that are easy to transport, operate and troubleshoot. They are available in many variations of size, speed, hose material and hose length. This method of irrigation can be particularly cost effective, while also being less manual than some irrigation methods. 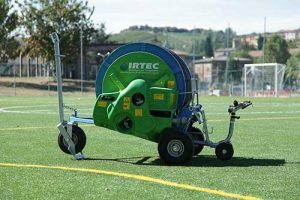 Water Dynamics is the Australian distributor of Irtec’s hard hose travelling irrigators. Like to know more about the advantages of travelling irrigators? Contact us today on 1800 571 812.